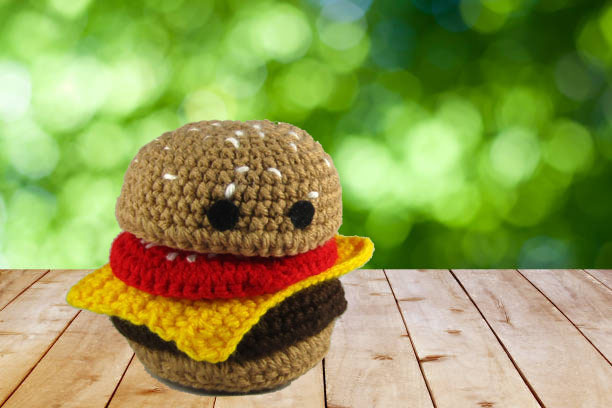 This adorable plush Burger comes with a patty, cheese and a slice of tomato! Complete with sesame seeds on top and cute little felt eyes, it’s perfect for kids and adults 🙂 The pieces are attached together, so you won’t loose any of it’s yummy bits! 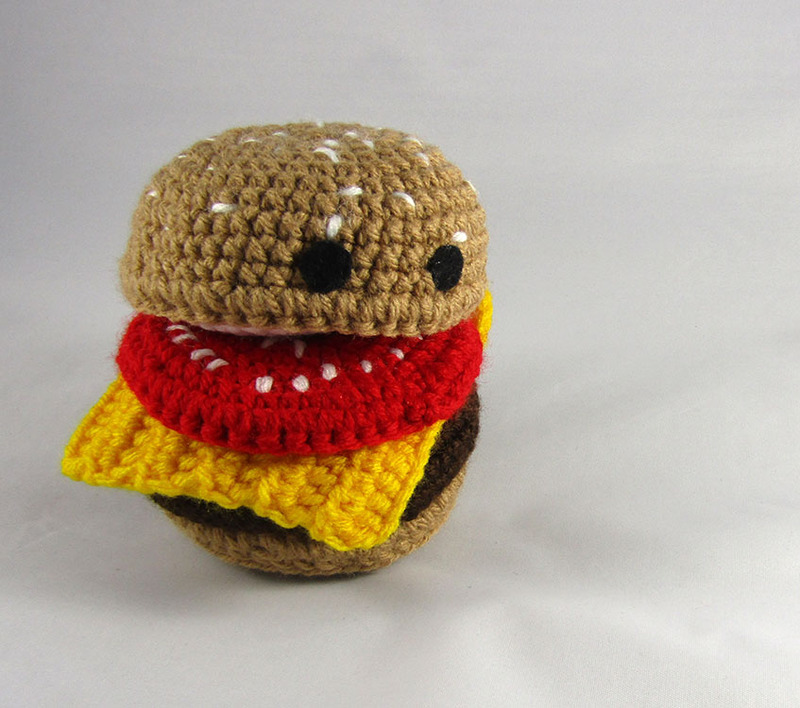 This crochet burger stands 4.5 inches high and his soft to touch. 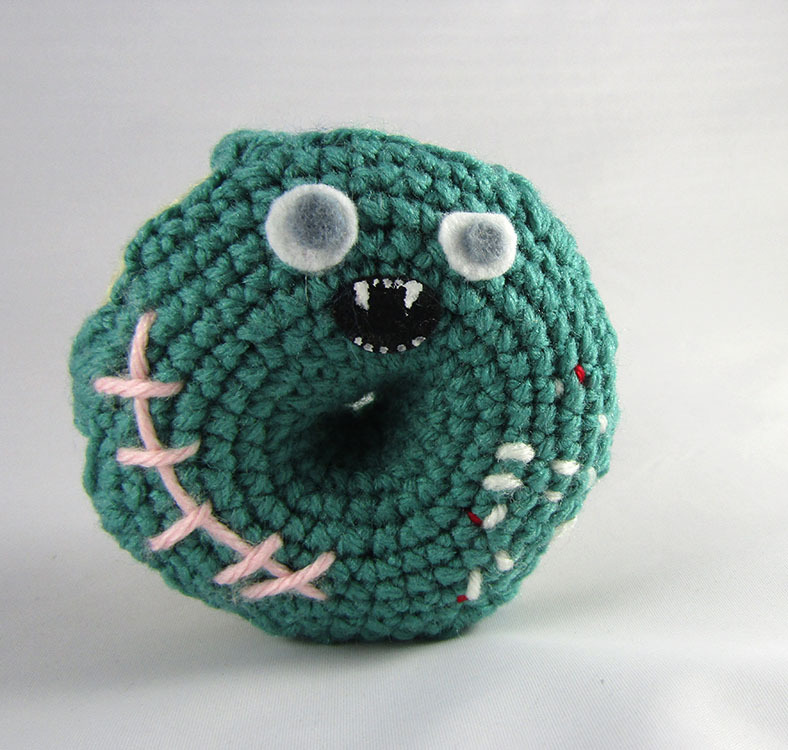 This creepy cute toy donut has fangs, maggots and a few stitches for that perfect Zombie Donut look! He’s about 4 inches wide and ready for his new home! 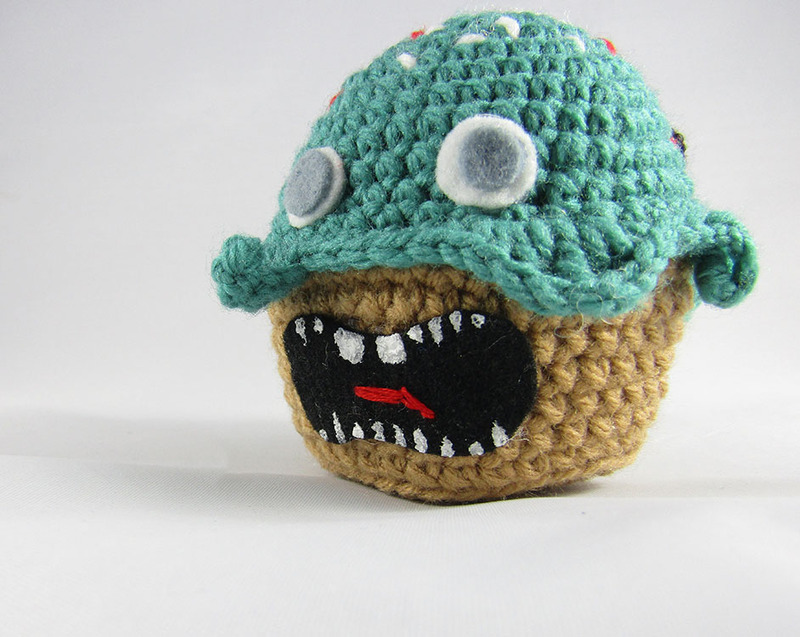 Meet the Creepiest Cupcake! 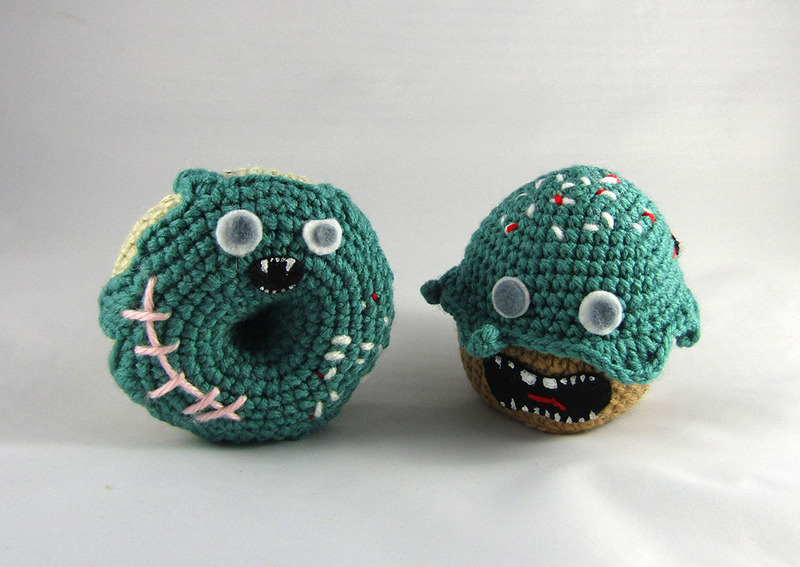 From his milky blue eyes to the maggots on top, he’s both creepy and cute! 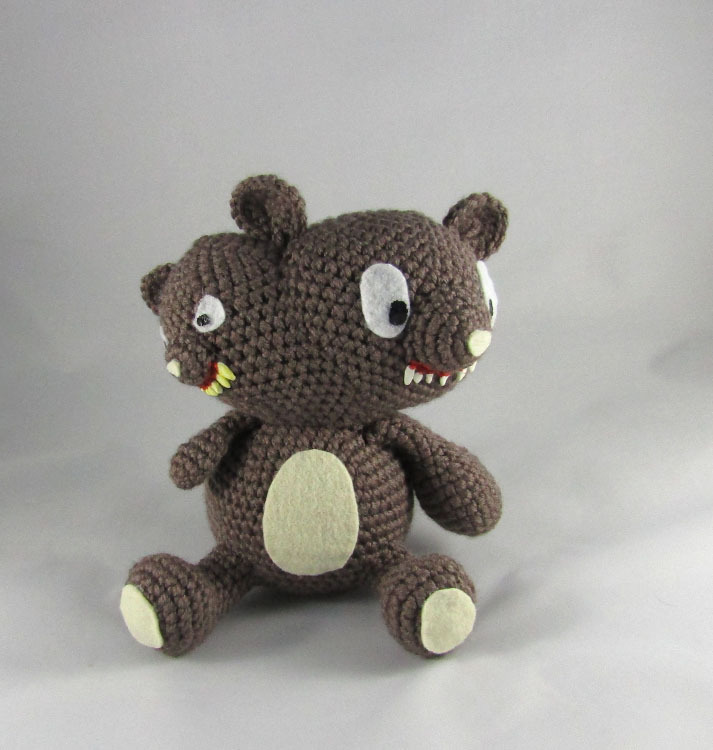 Handmade and unique he’s sure to be a hit with your horror loving friends. He stands about 4 inches high. This original bear has 2 faces, also known as Diprosopus or craniofacial duplication. 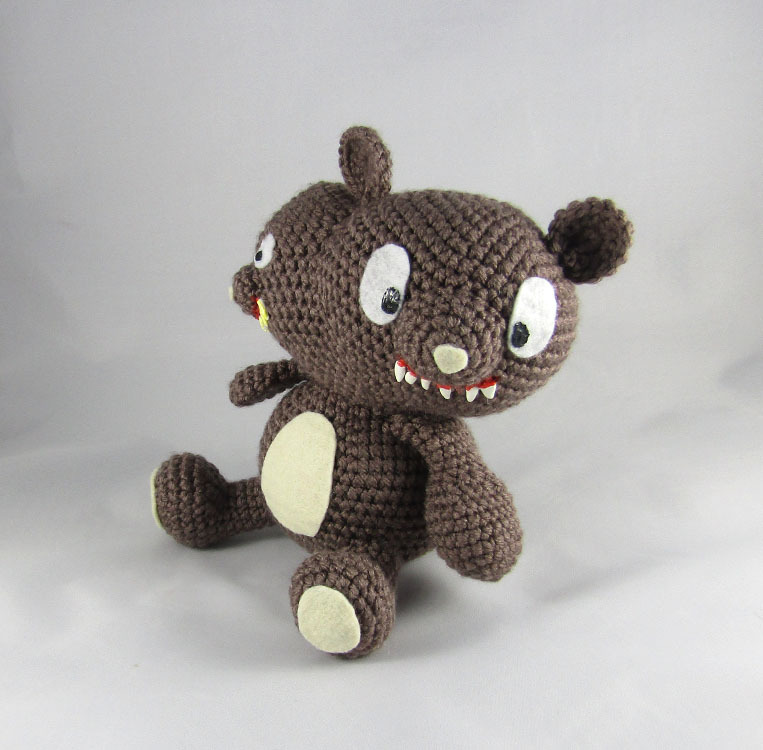 Both creepy and cute, and a little goofy, he’s a great piece of any oddity lover! He sits about 7.5 inches high, and has polymer clay teeth. The smaller face side has yellow teeth, and a tiny arm. 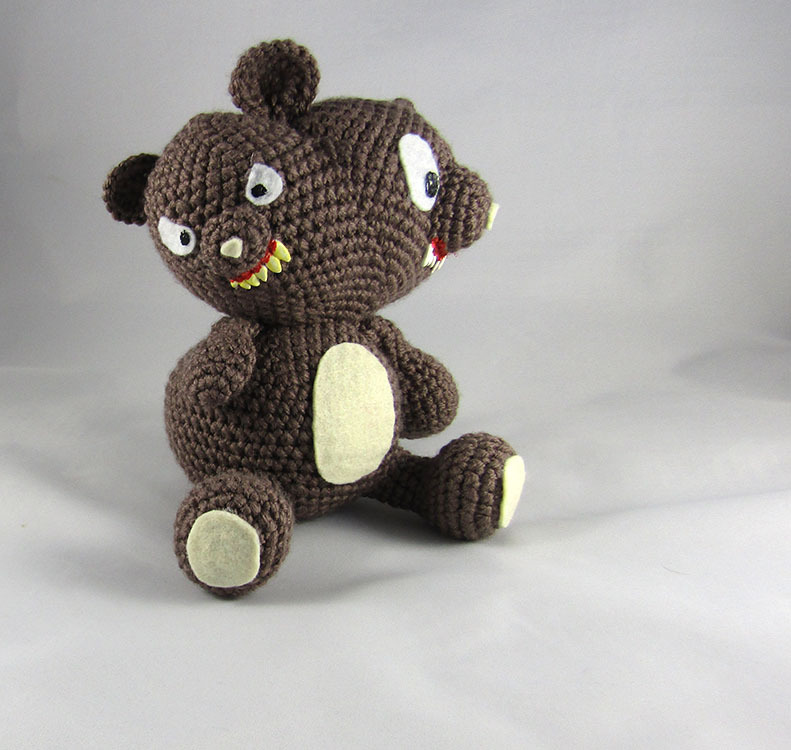 This creepily cute crochet bear is about 7.5 inches high. 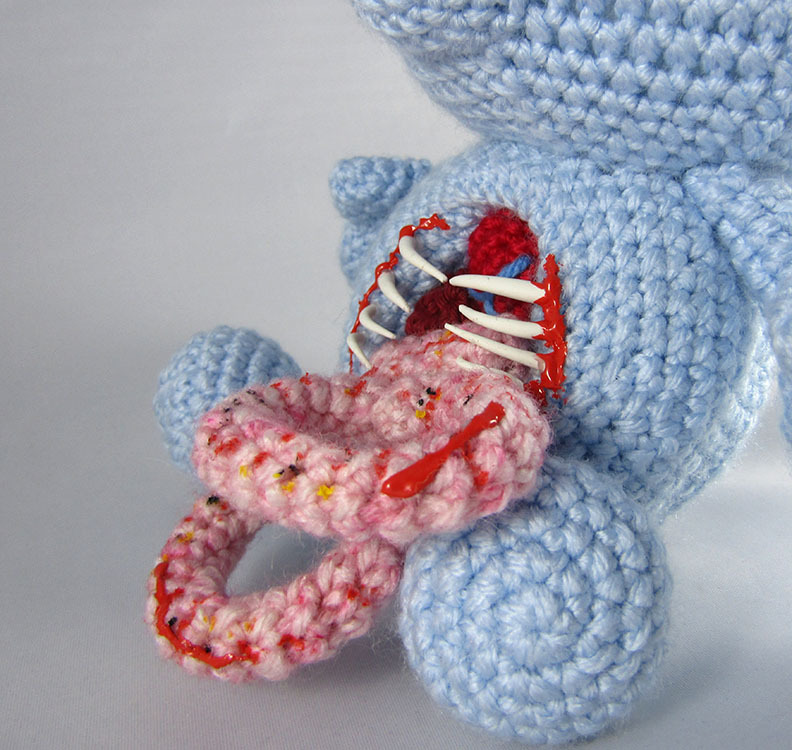 He has an adorable face, and a hollow in his belly where his entrails are leaking out. He also has a small heart and liver in his belly hole as well. Complete with hand sculpted polymer clay ribs and lots of blood, he’s sure to bit a hit with any horror lover! 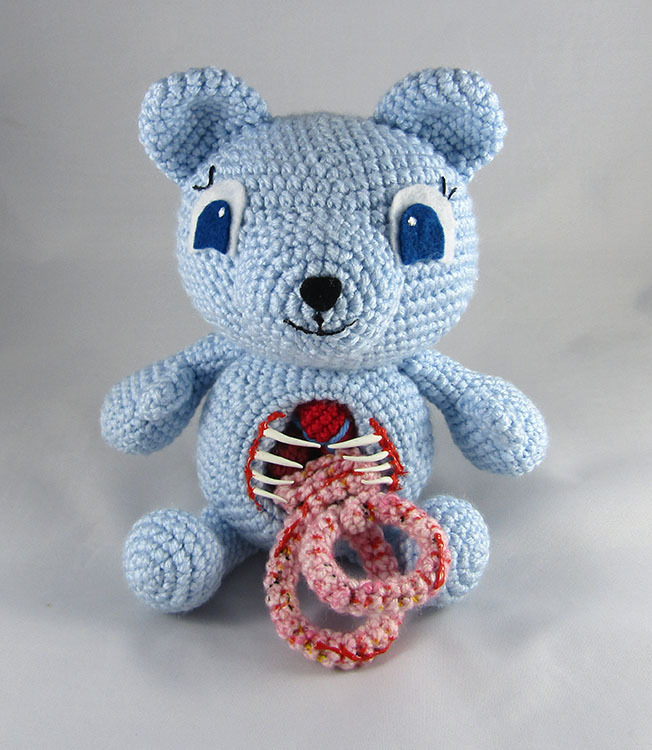 Due to the delicate nature of his ribs this little guy is NOT for children. Please be careful when handling him.